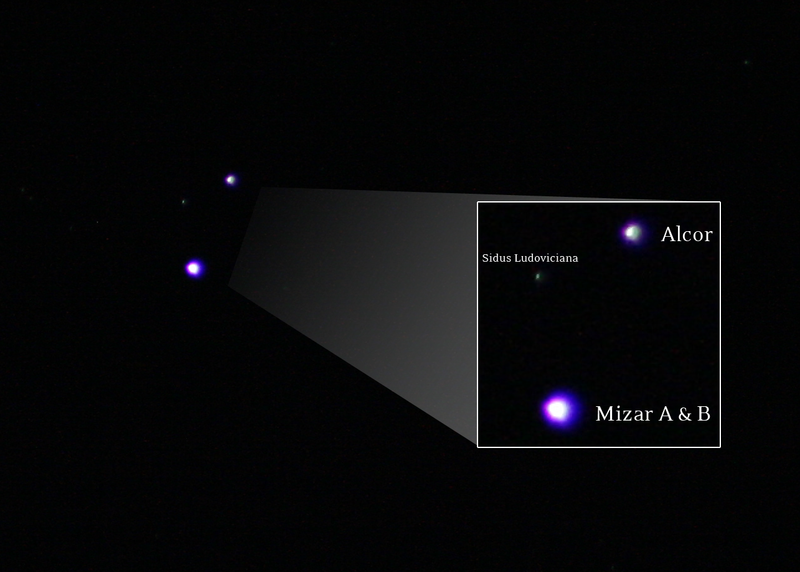 The famous double-star in the handle of the Big Dipper asterism, Mizar and Alcor, is one of my favorite targets in the sky because it lets me test my focus and the limits of my equipment. Previously, I was able to image the double star as a blurry streak, followed by my best point-and-shoot image that shows distinct round objects. Sidus Ludoviciana is only a magnitude 8 star which is pretty exciting to see for the first time!